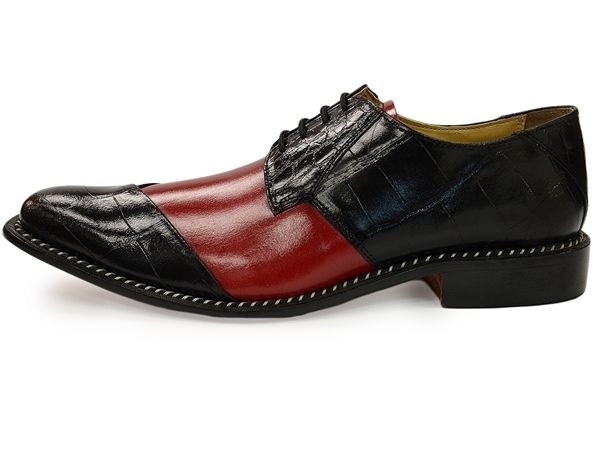 Giorgio Brutini Mens Red Black Leather Two Tone Oxford Dress Trending Party Shoe! Not all dress shoes are created equal and this slick derby is a step above the competition. The upper is cast in leather and has two tone coloring in red and black. Mixed crocodile texture adds an exotic touch to the cap toe.